"I enjoy solving tax problems for my clients. Clients appreciate the creativity, instincts and cut-to-the-chase judgment that I bring to complex tax problems." Jim Exnicios is an experienced business lawyer and Board Certified Tax Specialist. Jim provides business and tax advice on complex transactions. 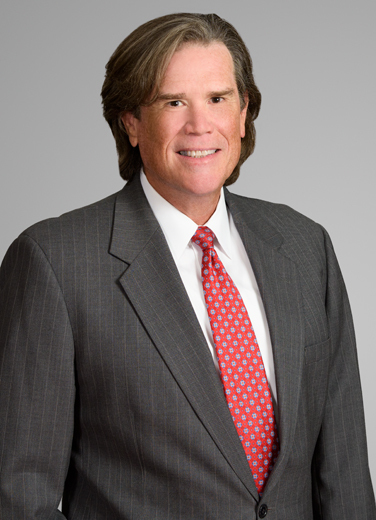 Jim has also represented numerous multinational and multistate businesses and estates before the Internal Revenue Service, the State of Louisiana Department of Revenue and numerous local taxing authorities in complex audits and litigation. He also provides planning and due diligence for clients during their merger or acquisition transactions. Planning and structuring the sales and purchases of industrial businesses such as refineries, chemical plants, manufacturing facilities, and pipelines, "I help identify tax challenges and opportunities to arrive at tax efficient solutions." Analyzing federal, state and local tax issues for interstate and intrastate pipelines, petrochemical manufacturers, refineries, E&P companies, brown water maritime businesses, oilfield services and other sectors of the energy industry. Handling dispute resolutions involving federal, state and local government agencies, often with multiple levels of administrative appeals…all the way to court. "Our clients benefit from both my knowledge of tax law and their seamless access to Liskow’s trial and appellate lawyers." Before joining Liskow & Lewis, Jim was the head of the business section at Lemle & Kelleher, LLP and worked as a certified public accountant for then Peat, Marwick, Mitchell & Co. as well as Hanlon & Morgan. He also often presents industry-specific, in-house tax programs to a wide range of businesses. "I enjoy my charitable and volunteer work in the New Orleans community."